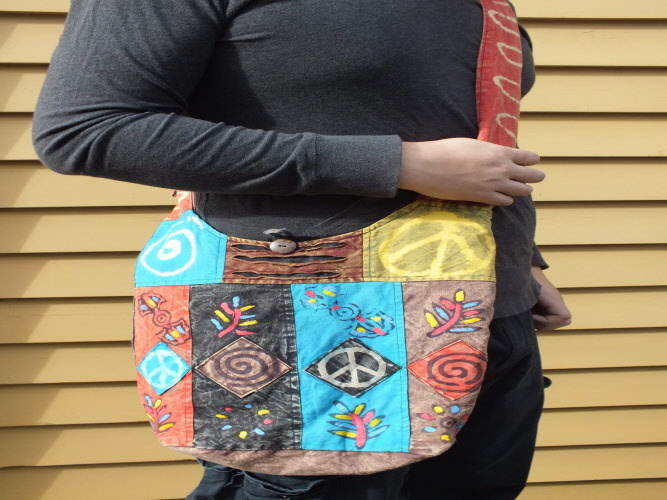 Made in Nepal and has zipper for security and also a secret zip up pocketinside for your money, wallet or purse. Great shoulder bag all the way from Nepal. 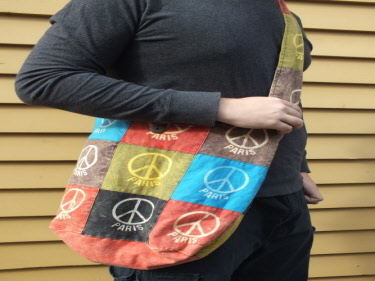 Made from cotton, has a zipper to close bag, and another smaller purse size pocket inside with a zipper also. Has zipper to close bag and keep your property safe. Also has a secret zip up pocket to keep your cash or valueables in. 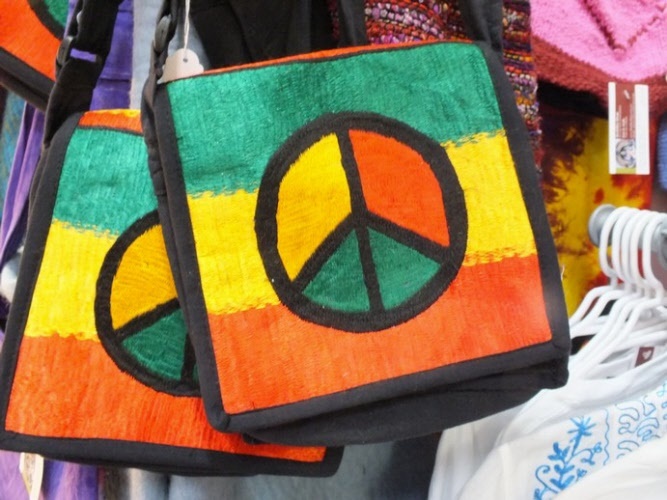 Designs may vary slightly due to changes in stock. 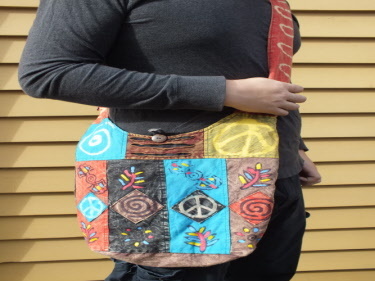 More of a hand bag / carry bag with two strong handles and plenty of room inside. Made from cotton in Nepal. Printed with brand names of rice and other grains. 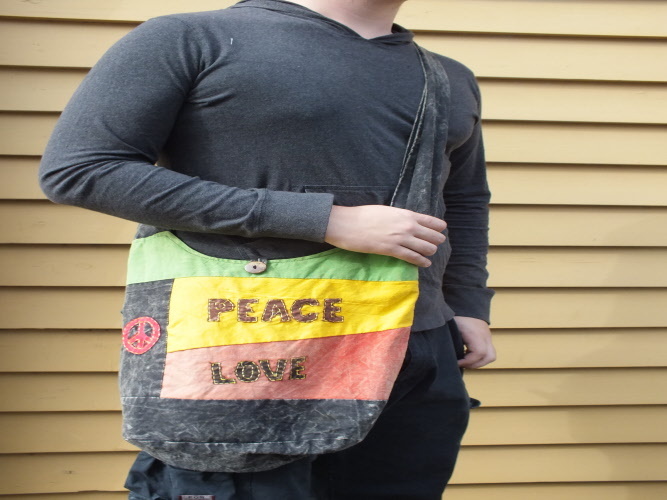 Buy something re-cycled and help the planet. Adjustable straps and plenty of room inside. 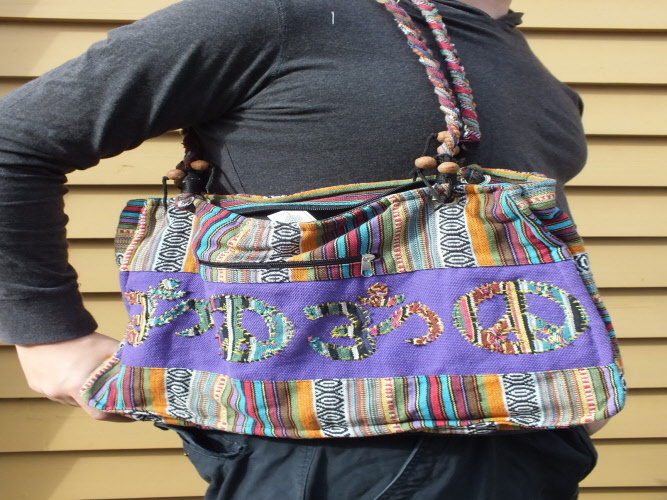 Fully lined and hand made in Nepal. 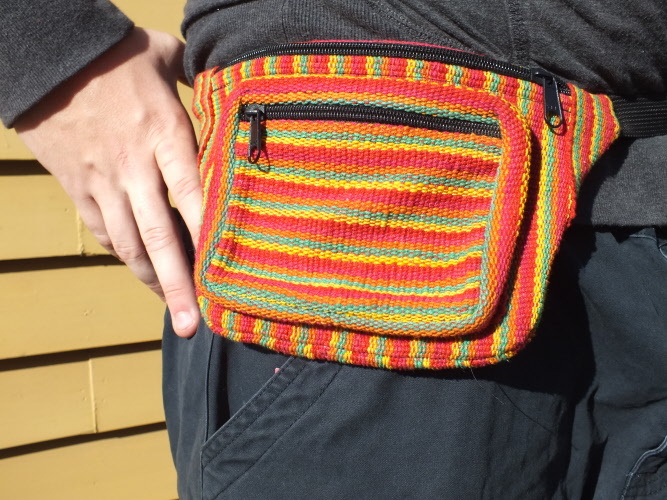 A bum bag - Made in Nepal from cotton. Not your average plastic bum bag that falls apart after one use. These ones are quality hand made product. (See photo) there are darker colours available. Choose your colour when ordering. Lovely shoulder bag hand made in Nepal, with the Peace sign. 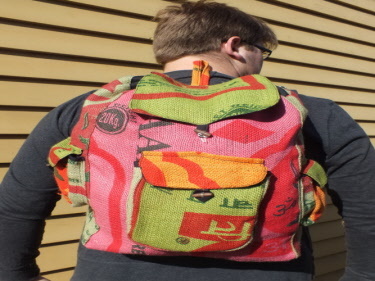 Has two compartments inside, one with zipper and outside has velcro to close it.